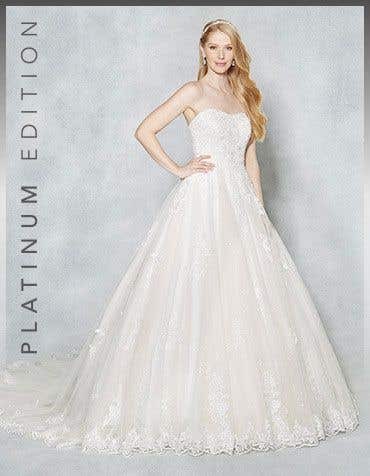 Delicate patterns with blended thread are a feature of our stunning range of embroidered wedding dresses. 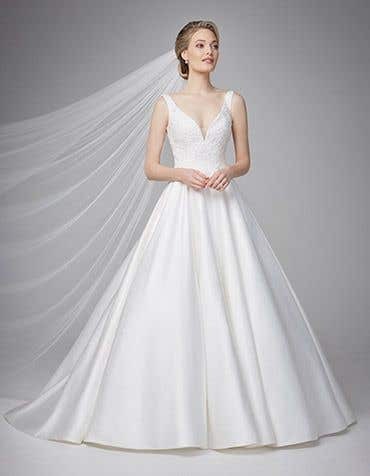 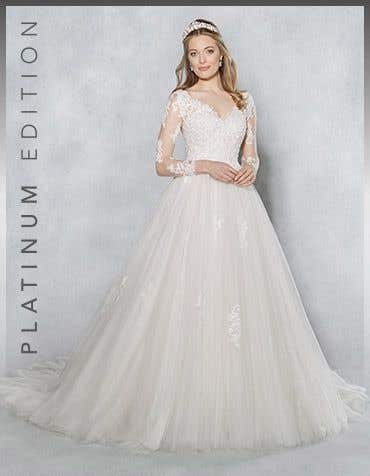 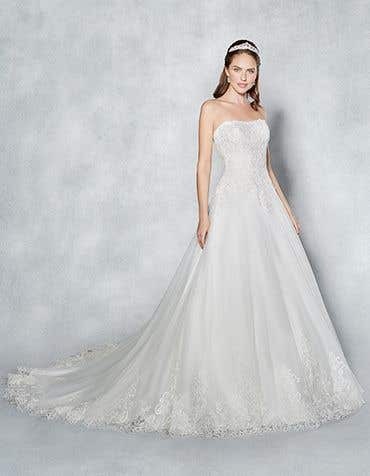 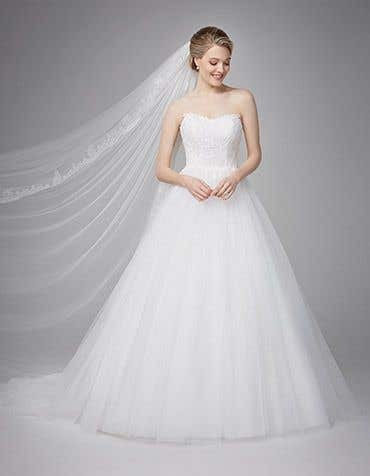 Our collection of wedding dresses with embroidery are dramatic with adorned bodices, metalic lace and sparkling beading. 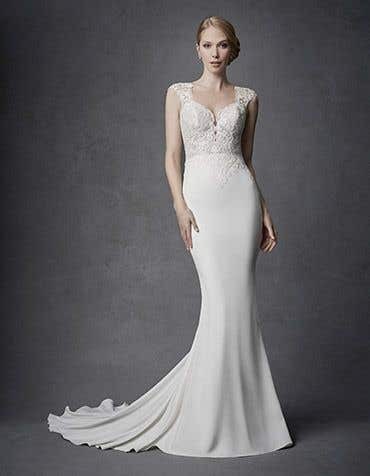 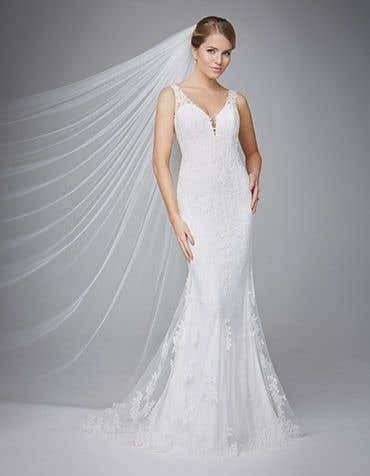 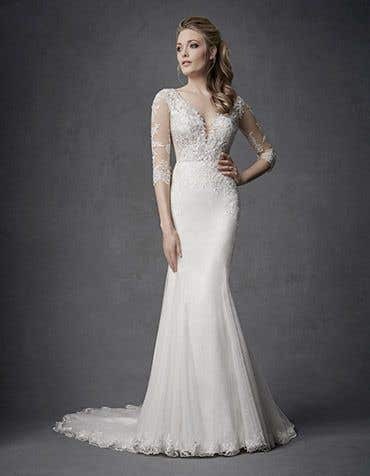 From ball gown to fishtail this style of embroidered lace is simply perfection, adding dramatic details when combined with an illusion panel. 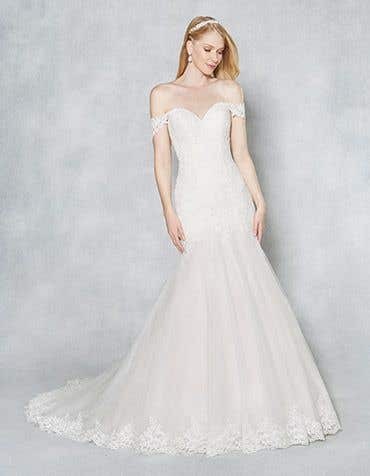 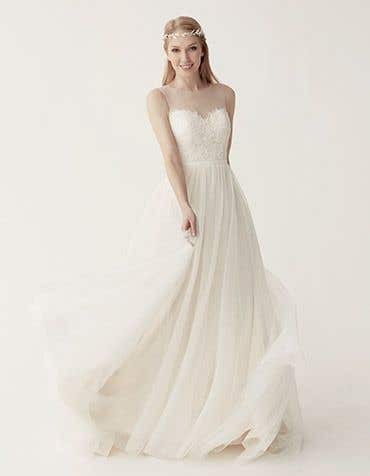  Visit one of our UK wedding dress stores today and our bridal experts will be on hand to help find your dream dress in sizes 6 - 30 to take home the very same day.